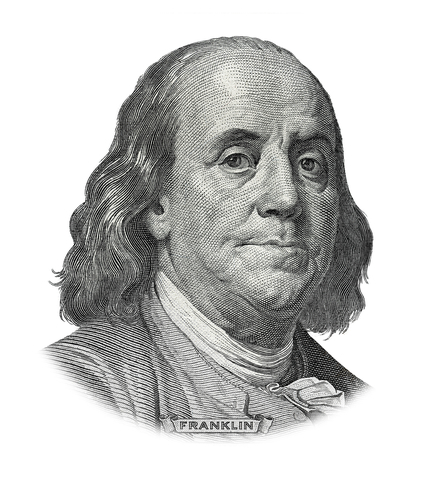 How Can Ben Franklin Help Improve Your Speaking Skills? Do you speak with all the energy of a houseplant? Do you pepper your conversation with too many “uhs” and “ums?” Do you keep your face in a permanent state of boredom? More importantly, do you want to change some of these habits? If so, then do what Ben Franklin used to do: pick one point of improvement and work on it continuously for a single month. Ben didn’t know it at the time, but he was changing habits using a technique that psychologists call “reticular activation.” Reticular activation is the little bug we plant in our heads to sensitize ourselves to certain things. For example, reticular activation is what makes you suddenly begin to notice all the blue Toyota Camrys on the road two days after you’ve bought your blue Camry. Want to eliminate “uhs”, “ums” and other filler words? Sensitize your brain to make yourself pause every time you’re about to use a filler word. Want to remember to smile? Tell your brain to remember to smile as you speak. Do like the best telemarketers do and put a mirror on your desk and make sure you’re smiling while you talk on the phone. The listener on the other end of the line may not be able to see the smile, but they sure can hear it! Voice energy an issue? Put sticky notes everywhere to remind yourself to speak with passion. What does this have to do with Benjamin Franklin? Ben didn’t know the term reticular activation, but he certainly understood the concept. After some experimentation, Franklin learned that it took 21 days to change a habit. He’d pick one thing he’d want to change and work on it for three weeks. Then he’d work on something else for 21 days. So take a tip from one of our founding fathers. Pick one thing you want to work on and focus on it for 21 days. Before you know it, you’ll no longer be using those annoying filler words and you’ll be coming across as a confident communicator.